In a contest to see who can grow their hair the fastest? Probably not, but you may actually care about having radiantly healthy skin, happy healthy hair that isn’t falling out and strong nails that show you’re a solid candidate for the next Wolverine movie. Okay, maybe you don’t care about the Wolverine casting call either, but odds are if you’re dealing with any skin issue or care much at all about your appearance, aging gracefully and your overall health then you probably will love what you learn in this episode. 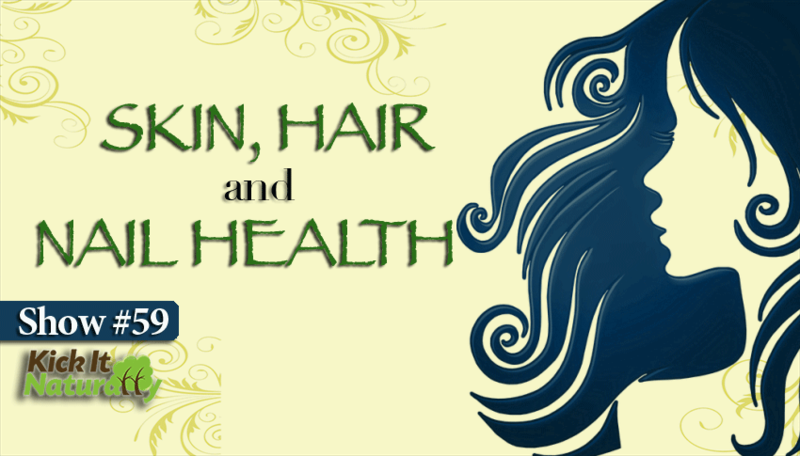 Listen in as Tony, Will and Kinna talk about what makes for healthy skin, hair and nails. The connection between digestion, skin health, hair strength and nail growth. How underlying body chemistry imbalances, such as a catabolic imbalance, electrolyte deficiencies, protein deficiencies, hypothyroidism and hormonal imbalances can all weaken your hair follicles, leading to premature hair loss. You’ll learn about the connection between bile flow, detoxification and skin issues like acne, dry skin, rashes and pruritus/itching. The key nutrients that you should emphasize and important toxins to avoid in order to support healthy collagen and youthful skin.